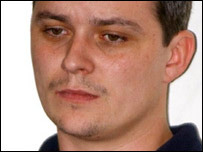 Double child killer Ian Huntley has his jail term set to a minimum of 40 years by a High Court judge. How do families recover from the murder of a child? Would a microchip or GPS tracker help protect your child? Child killer Ian Huntley was a "timebomb ready to go off", says the father of murder victim Jessica Chapman. A new life for Maxine Carr? Maxine Carr is being released under a shroud of secrecy. How do those associated with notorious crimes start over? Those who knew Ian Huntley say he was a domineering man with an unhealthy interest in underage girls. Huntley: Does life mean life? Have any lessons been learned from the Soham murders? Carr "would have told police"